Two new packs from Flatpack offer up the chance to inject the juicy warmth and character of analog into the binary world of digital. With a potent balance of versatility and down-right weirdness, Analogik Waves and Analogik Drums bring immaculately sampled boutique synths and modular drum sounds to Live. The Analogik Waves pack is built from a bedrock of mono and poly synth sounds taken from top-tier brands like MacBeth and Cwejman. Each sound is multi-sampled across the keyboard, so none of those perfectly recorded analog synths are tainted by repitching artefacts. Using a bass as a lead, or a pad as a drum is no problem; just dial in the envelopes and repitch away. From delicate and beautiful to raw and jagged, there’s a vast tonal variety on offer—plus, the trademark instability of analog is controllable with most patches, whether you’re after wandering pitches or rock-solid consistency. With over 1000 samples, you can build and layer your own unique patches or get a head start with 80 mono and 40 poly presets. 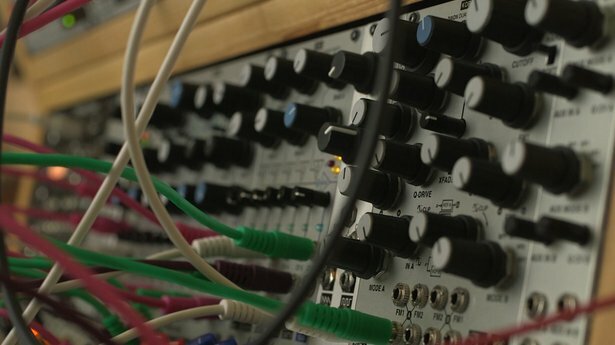 The Analogik Drums pack draws on a host of hot-wired modular synths, so expect a bevvy of punchy, harmonic beats. These sounds reference everything from classic electro zaps to uncategorizable modern glitches, working well both in traditional and more far-out sonic contexts. Hundreds of individual hits come pre-arranged into 40 kits, each mapped with a variety of macros tailored to getting the most out of the kit. Additionally, ten of the kits have been run through a host of ring modulators, including the hallowed Cwejman FSH-1 for some widened or even alien-sounding drums. Dive deeper into Analogik Waves and Analogik Drums on the Pack page.